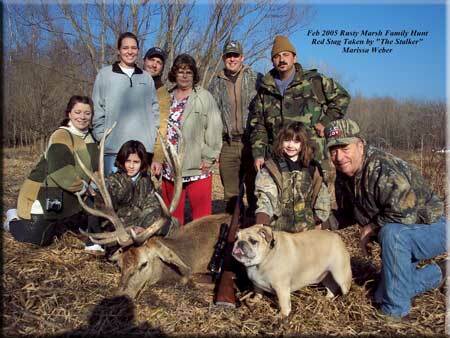 The SCI Safari Wish Program started with the Central Missouri Chapter at in December of 2000. Since that time we havepartnered with SCI to provide 12 Safari Wish hunts and one "Inner City" Hunt. 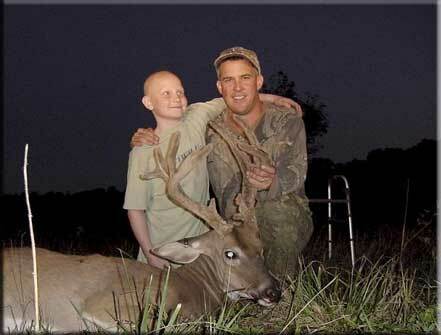 These young hunters are the true role models in life and an inspiration to us all. All of us involved are thankful for these opportunities and look forward to our next hunt! The big buck stepped into an opening at about 75 yards. David raised his gun and took careful aim. I could hear the safety click once and then a second time indicating the new Ruger 270 was ready to fire. For a 17 year old kid who had never harvested a deer, he was extremely cool. The next couple seconds seemed to take hours. Finally the shot thundered and the deer immediately wheeled and took off for the woody draw from where he had came. He was trying to run but everyone in the blind could see he was going down. The shot was perfect and he skidded to the ground just inside the woods. He had run only 50 yards. I own an operate a whitetail hunting preserve. 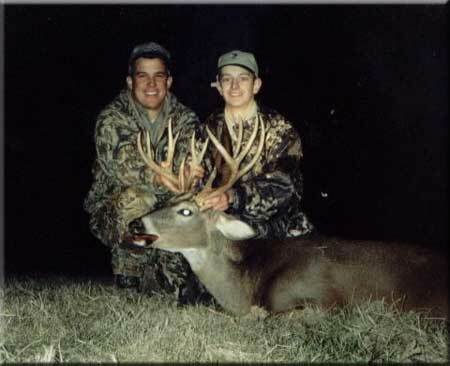 I’ve helped hunters take many big whitetails. 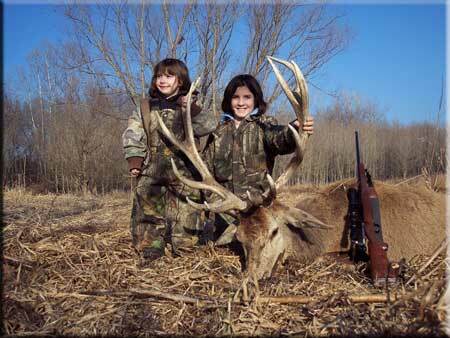 I’ve even been lucky enough to watch many young hunters take their first deer. But this one was special! Very special! You see David was diagnosed with leukemia several years ago. He has been fighting the battle of his young life and had just completed chemotherapy and a bone marrow transplant. On his “wish list” he had indicated that one of his dreams was to take a big whitetail. Finally he had gotten that chance. Words can not describe what everyone involved felt that day. I won’t even try. The planning for this hunt began several months ago. I don’t know all the details, but many caring individuals took on the task of cutting the red tape and making this hunt happen. Martin Wilson initially had got the ball rolling and I got a call from a good friend of mine, Larry Dotson, that our local Central Missouri Chapter was wanting to sponsor the first “Safari Wish” hunt. He said that they had picked a 17 year old boy who had “wished” for a whitetail hunt and wanted to know if I was interested in helping out. I immediately accepted. With the help of countless people over the next several weeks we prepared for David and his family. The chapter bought a new rifle and scope for the hunt and Bill Moore had it sighted in and ready. David Franklin, his mother Tina, and Father Alex arrived at Tonanzios restaurant and Cedar Lake Lodge shortly after noon on Saturday December 9. After unpacking, introductions, and a checkup from Dr. Bill Cravens, the hunting party headed out to meet Larry and I at our clubhouse. We were joined by Mike Wilmet from Tucson headquarters and Wayne Steele our regional director from Illinois. More introductions, a safety lesson, a quick session at the shooting range, and we were ready to head to the deer stands. Everyone was excited, especially David. He just kept smiling the whole way out to the stand. After harvesting the beautiful 13 point deer, we all celebrated at Tonanzios and told the story of the hunt again and again. On Sunday evening, at the Chapter Christmas Banquet, the hunt was relived and David was presented with a pair of Leopold Binoculars along with many other gifts. It was I night I’ll never forget. This hunt was made possible by the generosity of the Central Missouri Chapter of Safari Club International, the brand new Safari Wish foundation of Safari Club International, and many generous people. 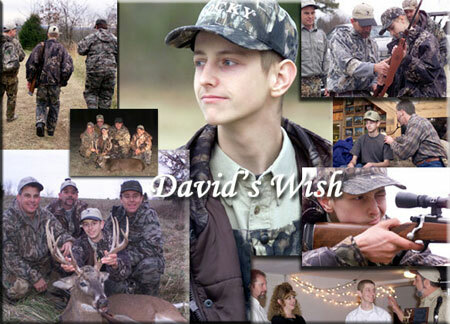 All of us that were involved want to thank David, Tina, and Alex for allowing us to make David's Safari Wish come true. Believe us when we say that the pleasure was definitely all ours! We could see the tips of their antlers sticking up over the grassy hill. I knew if we couldn't see their heads that they probably couldn't see us. We kept low to the ground just in case. I eased up to an old fence post and told Ben to use it for a rest. Dan was right behind us with the camera. He stayed behind a small cedar tree and we used the old fence line for cover. The setup was perfect! I squeezed on the cow elk call and it let out a surprisingly good long cow-like squeal. I saw the tips of the largest bulls antlers turn and look directly at us. Then his rack got larger and larger. He was coming right at us and coming fast! The bull was closing the distance at a fast walk but was facing directly toward us. I kept whispering to Ben to wait. He was much calmer than I was! Not seeing a cow elk, the bull finally turned to circle down wind. As he cleared a small thorn tree, I again squealed on the cow elk call. He stopped and looked directly at us. He was about 75 yards away and broadside. The words "now" had barely left my mouth when Ben fired. The shot was perfect and the bull turned and only ran about 20 yards. As we walked up to the huge massive rack, I could barely feel my legs. I was walking on air. When I looked at Ben I could tell he felt the same way. The smile on his face told the whole story. It was the end of a perfect hunt! Ben Bushjost has been diagnosed with Leukemia. He is the first child in our program to be from Callaway County and currently attends Fulton High School. He loves fishing, hunting and any activity related to the outdoors. 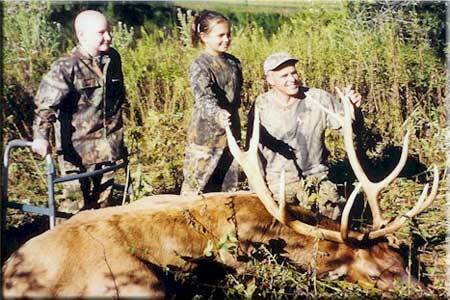 He is an avid whitetail hunter and has always wanted to pursue and take a large trophy elk. In most ways, Ben is just like any other child. He dreams of days a field and fun times with his friends and family. He had been looking forward to this hunt for a long time. We started the weekend with a barbeque for friends and family on Saturday followed by a scouting trip through the hunting area to see if we could locate some bulls for the next morning. We saw several nice ones and Ben said he had a little trouble sleeping that night. So did everyone else. When I arrived at the cabin the next morning, Ben was already up and dressed! We headed out long before daylight. We chose to hunt a stand on a small hill overlooking a swamp where several large bulls had been spotted the afternoon before. It was foggy and the first hour went by without seeing a thing. I called periodically on a cow elk call and tried to bugle like a mature elk bull. Ben and Dan said it sounded like a hyena. Miraculously, 3 large bulls responded to the calls and emerged from the swamp at about 300 yards. They circled down wind and came in to about 100 yards. They seemed to get a little nervous that no other elk were around and went into some near by cover and disappeared. That's when we decided to climb down from the stand, loop back around and try a stalk. The fog had burned off and the sun was starting to climb. The hunt was on! After taking the bull, we field dressed it, and headed back to the cabin for a huge country breakfast. It was a great day and one that we'll all remember our entire lives. Thanks Ben, for letting us make your "Safari Wish" come true. I could hear Robert's breathing getting faster and deeper. The 3 gobblers were close and we had been caught out in the open woods when they came in silently. There were 4 of us sitting together. Trying to look like 4 stumps was challenging and I don't think the 2 year old birds were buying it. They were just out of range. Finally, they started to get nervous and turned to walk back from where they had come. We tried a desperation call, but they were already convinced we weren't the real thing. Larry, Dan, and I were disappointed. Not only had we missed up a golden opportunity, we knew we were down to just one morning to get Robert a bird. However, it didn't take long to get over the disappointment. When we got up to leave, Robert had a big ole grin on his face and said "That was Cool". He had never been that close before. That afternoon, we took him fishing and barbequed up some hamburgers. Sleep came easy. We had been outside all day. The next morning we elected to try a deer stand in a good location where two roads came together. Turkeys always seemed to feed right by the stand. At daybreak, the birds were gobbling and heading our way. Since it was early in the season and they still seemed grouped up, we decided to call just a little and wait them out. About an hour into the hunt, the birds had gotten to within about 100 yards and we starting to get excited. As we watched the approaching group, I heard a faint purring sound coming from below the stand and knew it had to be a turkey. It was so close that I had to stand up to look out of the blind. I couldn't believe there were three jakes standing right beneath us. I eased back down and whispered to Robert to get his gun and ease up to take a shot. He didn't have time to get nervous. He made a great shot and the bird went down immediately. I don't know who was more excited, Dan , Robert or me. Robert has Hodgkin disease. He is 14 years old and grew up in the Farmington, MO area. He just finished his last treatment of Chemotherapy and is just starting to re-grow some hair. He is just like most other kids raised in the country. He likes to hunt, fish and be out doors any chance he gets. He wanted to try to take a turkey. His mom said it was all he talked about. The end of the barrel wouldn’t stop shaking. I was skeptical because the buck was farther than I had hoped at about 100 yards. He had veered off and this was as close as he was going to come before entering a large clover field. I don’t know who was more nervous, Michael, His Dad, Brigid, or me. Tim finally grabbed the stock of the .223 to steady the gun a little. Then it happened! The hunter in Michael came out! He quickly told his dad “I got it” and steadied the gun. The shot rang out. The buck whirled and started to run. I couldn’t see very well and wandered if he was hit. It didn’t take long to realize he was not only hit, but hit hard. He just kept getting lower and lower and skidded to a stop about a 100 yards further in the field. The shot was perfect! We were all ecstatic! I had been with Michael and his family for the last 24 hours but was unprepared for what happened next. We climbed down out of the stand and as I was gathering up the gear and thinking about getting the truck so we could drive to the deer, I looked up and couldn’t believe my eyes. Michael was using his walker and going as fast as he could go to see his trophy. We were over 200 yards away but he was almost running! His dad was doing his best to keep up and the sight of the two of them crossing that field was one I’ll never forget. I looked at Brigid to see that she was filming the whole thing. My knees were weak! I just sat down at the base of the stand and watched as Michael and his dad shared a moment that neither of them will ever forget. I couldn’t hold back a tear that ran down my cheek. It was one of those moments that we all live for. That Friday was quite a day spent with some very special friends. When I met Kayla, I wanted to take her home with me, but Mom and Dad wouldn’t give an inch. The more and more I got to know her the more bargaining I did with her parents, but didn’t have any luck. Kayla is a very bright and articulate young lady and very easy to film. She always has a sincere smile on her face which reflects her inner beauty as well as outer beauty. She has a muscle disease which has made life difficult, but she never lets it get in the way of hunting. She told me her Uncle Mark was the first one to introduce her to the outdoor world and she knew right away she would be a hunter. 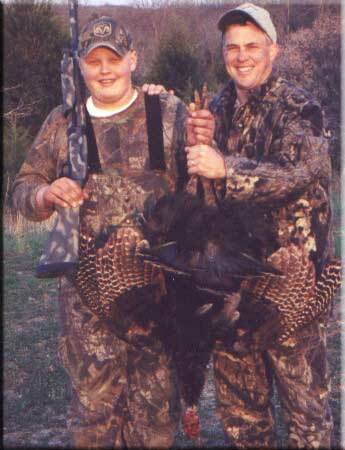 After we shared our hunting experiences we decided someday we would hunt together. She told me she likes elk and deer hunting and someday would like to go on a bear hunt. I asked her what was the most thrilling moment of her elk hunt and she said, “I was the most excited while waiting to pull the trigger.” Kayla is another Annie Oakley being shaped for America. Kayla, please give a hug to your brother and parents for me. I Love you Darling!! 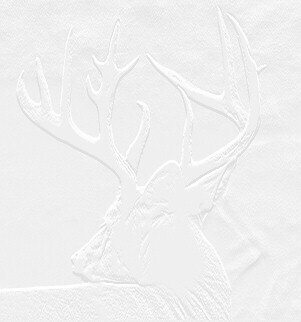 So far, the big Stags had evaded us. We had been looking everywhere. There were 3 big ones in the group and we had decided that any of the 3 would make a great trophy for Marissa (TT). We decided to check out one more spot before heading in for brunch. Stags had been known to hang out in there because it was very low and out of the wind with a lot of bedding cover. We called it the swamp and headed there to take a look. Suddenly, we spotted the stags standing in some tall grass at about 200 yards. We were so excited we really didn’t know what to do next! A stalk was planned and TT and her dad Chris eased toward the trio hoping to get a good close shot. They cut the distance to about 150 yards and ran out of cover. It was still “iffy” but they decided that it was the only opportunity they had. If they moved in any closer, the Stags were sure to spook and could be gone for the rest of the day and possibly even the rest of the trip. They had to try. TT picked out a clear spot to shoot between two willow branches and took aim. As the shot echoed through the swamp, the middle Stag stumbled and lurched forward. I could tell he was hit hard. As the other 2 stags took off, TT shot again. The Stag collapsed! I couldn’t believe a girl that small could be so steady and take an animal that big. It was amazing! Brunch would have to wait a while longer. TT (“The stalker”) had been battling Leukemia and is now in remission. She has truly been and will remain an inspiration to us all. She rarely complains and is as full of life as any little girl I’ve ever seen. She is simply a pleasure to be around. Marisa is blessed to be surrounded by a great family. Her mother Mila And father Chris (The Webers) were there along with her little Sister Terra (the next hunter). Her Uncle Dawg, Aunt Corie, Big Mamma and Grandpa Rusty were also there. As you can see from the photo, it was a family affair. Thanks to all of you for letting us be a part of it. Its times like these that are forever etched in your mind. WE ARE LOOKING FORWARD TO HOSTING OUR NEXT SAFARI WISH. WE LIVE FOR THIS! For more information on the Safari Wish Program or the Central Missouri Chapter of SCI, Click Here!